A prolific member of the Hudson River School of painting, Eric Sloane (1905-1985) was an artistic genius. Among his nearly 15,000 paintings was this 1933 sketch of Roosevelt Field including "Ye Motor Parkway". 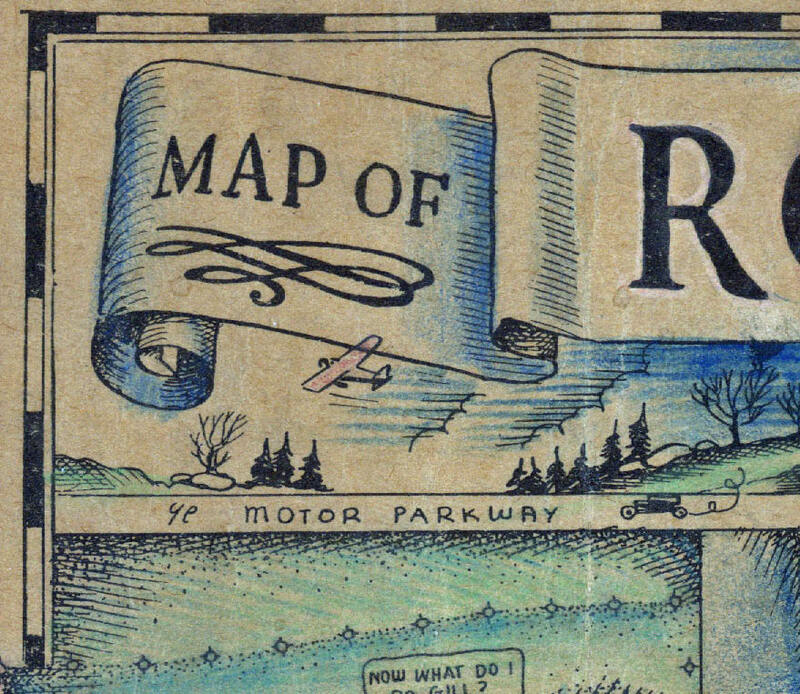 "Ye Motor Parkway" was drawn at the top left and right section of the sketch. 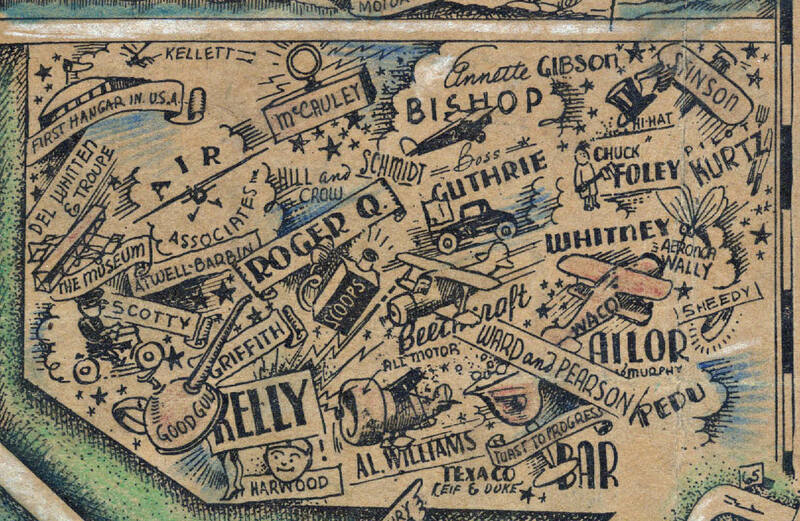 The center right side of the map depicts his different styles of artwork, lettering and names of the pioneer pilots of that time. 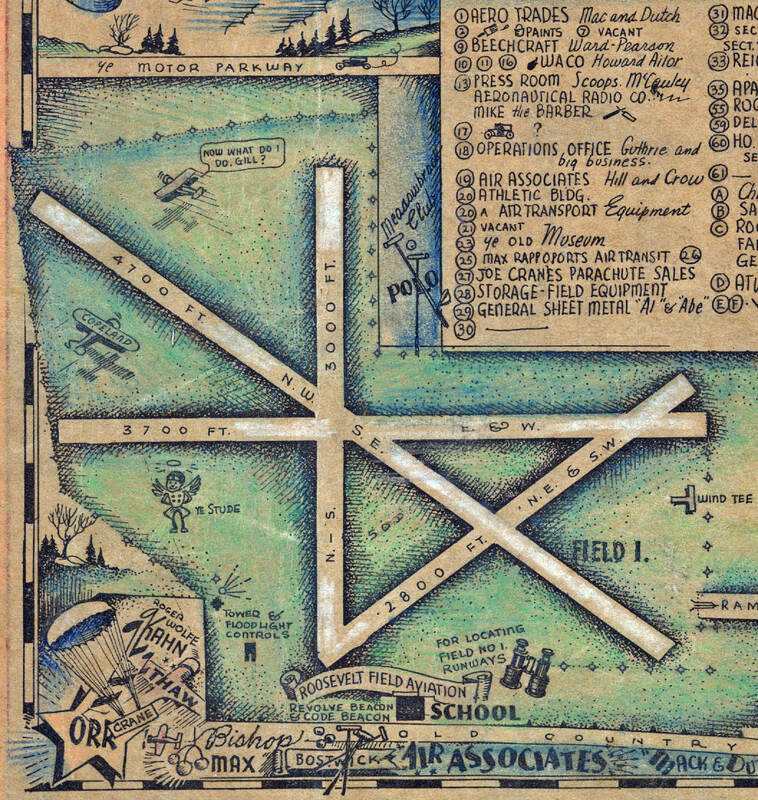 As described in a website dedicated to his work: "Some of his first clients included aviation pioneers flying out of Roosevelt Field, Long Island. Many of those flyers insisted he paint the identifying marking on their planes. 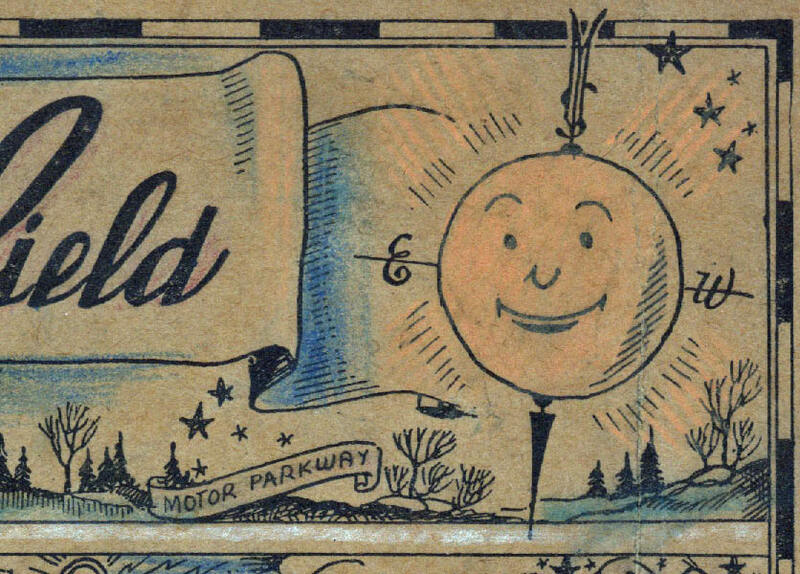 In exchange for teaching him to paint, Wiley Post himself, taught the young Hinrichs to fly. After his first flight the young man fell in love with clouds and the sky, themes that would be central to his work for the rest of his life. Among his early clients was Amelia Erhardt, who bought his first cloud painting. Said to be the finest cloud painter of his generation, his largest cloud painting graces an entire wall of the Smithsonian Air and Space Museum in Washington DC." Beautiful art work by Erick Sloane! 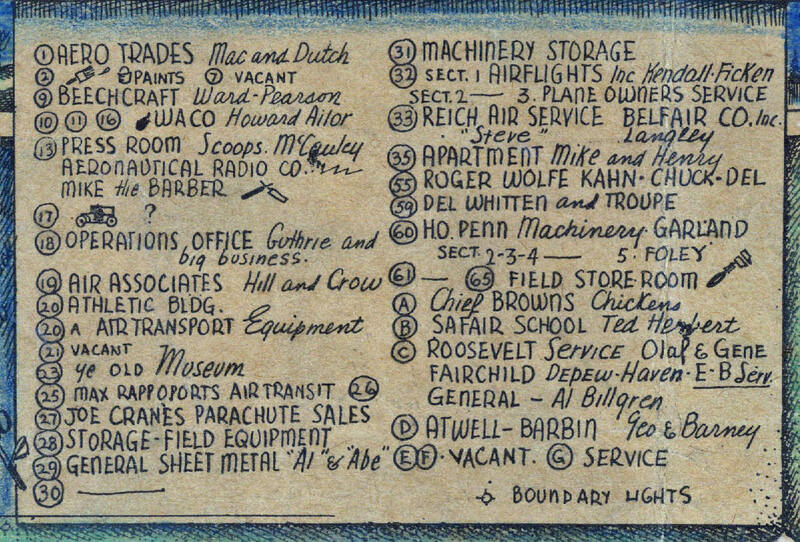 In the 1950’s I rode out from Bayside on my bicycle to buy lacquer for my model airplanes at Air Associates. Did Field 1 become Mitchel Field? Harry, Roosevelt Field had two fields. The main field was Field 2. 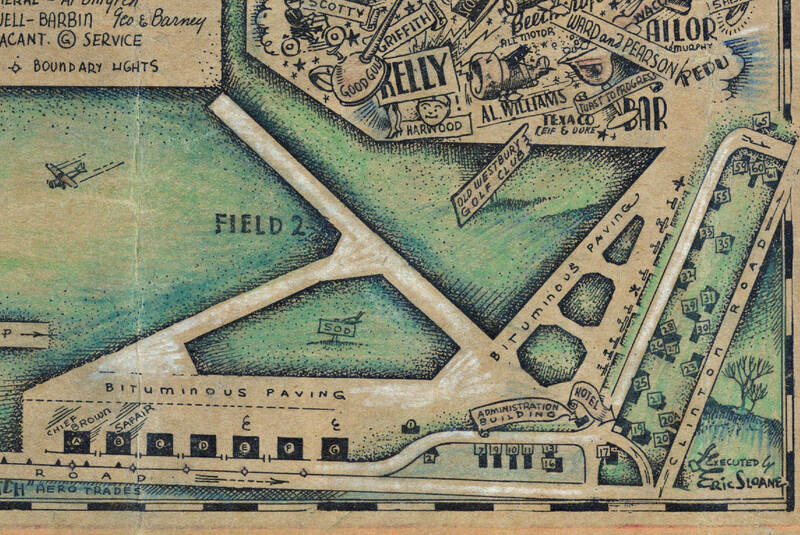 Field 1 was the secondary field and later became Roosevelt Raceway , the site of the 1936 and 1937 Vanderbilt Cup Races. I have added tags below for these two races.